In a noisy and insecure world, Venice remains a haven for the initiated, the connoisseur, the wanderer who prefers to see the city on his feet, rather than on a tour bus. Enjoying 900 years of independence and extraordinary wealth, Venice casts a spell over us all, whether it’s to raise our gaze to the magnificent mosaics in St. Mark’s Cathedral or in the Byzantine Church on the island of Torcello, or to admire the color and craftsmanship of glass blowers on the island of Murano, or the rainbow colors of the fishermen’s houses on the island of Burano. 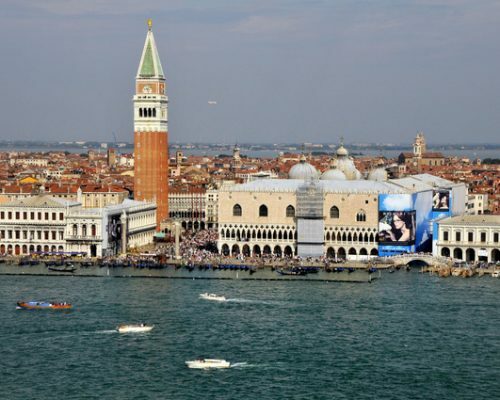 Whether you choose to visit this maritime city during the biannual art Biennale, or during the Carnival, or prefer to explore the ancient Jewish quarter and charming Cannaregio area, you will soon understand why Venice remains beloved by everyone including the English poet Byron, the Austrian composer Gustav Mahler, the French couturier Coco Chanel, as well as George and Amal Clooney. Venice for Beginners: Our local expert guides will help you to uncover the beauty and rich history of this unique city, starting at St. Mark’s Square, “the finest drawing room in Europe”, St. Mark’s Cathedral including its fabled treasure and Byzantine horses, as well as the interior of the spectacular and awesome Doge’s Palace and nearby Bridge of Sighs. For those who wish to extend the tour, we highly recommend you take a vaporetto boat to the Rialto Bridge, and visit the city’s food market, one of the liveliest in Italy. Hungry? Thirsty? We will make sure our guide takes you to one of the city’s authentic wine or espresso bars, where you will be able to sample exceptional coffee, pastries, wines and cichetti, local snacks. Venice for Art Lovers: For those who wish to revel in the glories of Renaissance and Baroque art, Venice has so much on offer that you’ll want to plan on multiple visits. Still, a good place to start with one of our local art experts is at the magnificent Frari Church with its stunningly carved tombs dedicated toTitian and Canova, as well as its masterpiece by Bellini. Then, you should be sure to see the Scuola Grande with its Tintoretto ceiling frescoes and its remarkable carved wooden benches, famous for their wooden marquetry. 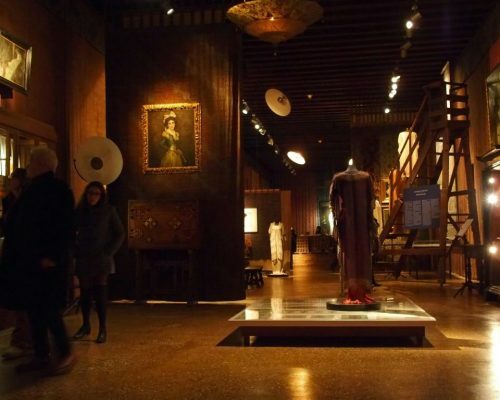 Following an excellent trattoria lunch, you must visit the Campanile of San Giorgio(it boasts an elevator and good cross ventilation) and the one-of-a-kind Peggy Guggenheim permanent collection housed in the palazzo she left to Venice. Venice for Collectors & Connoisseurs: Should you wish to prolong your discovery of Venice’s art scene, then we will arrange for you to visit the spectacular Palazzo Grassi and magnificently restoredDogana (customs building), where you will discover a rotating international collection of works by Jeff Koons, Cindy Sherman, Maurizio Cattelan, and Takashi Murakami put together by the French industrialist François Pinault. For those of you who have more traditional tastes, then you will want our guide to show you the Carpaccios, the Veroneses, Titians and Canalettos in the handsomely restoredAccademia Museum. 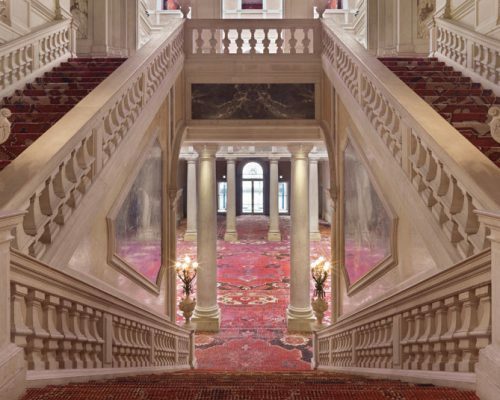 You can combine this visit with a tour of the fascinating Ca Rezzonico, an 18thcentury palace filled with the best collection genre paintings by Pietro Longhi, Tiepolo ceilings and Venetian furniture in the city. Venetian Artisan Tours: Through a highly exclusive and personalized tour of select artisan workshops, you can learn the secrets of making marble tables and busts, papier mâché carnival masks, gilding, textiles and brocades. Or you can observe the making of the celebrated gondolas that are synonymous with Venice. 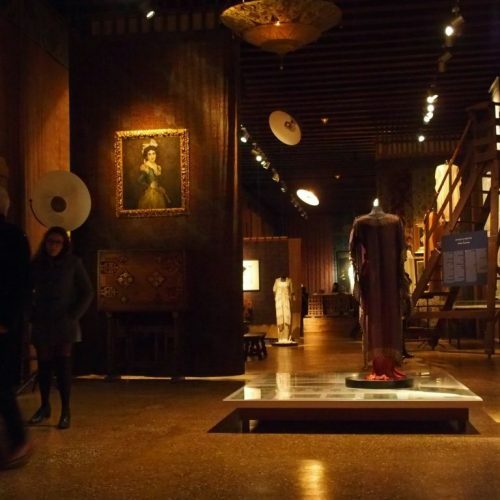 In the company of our expert guide, you will visit the unique Rubelli showroom featuring some of the finest textiles anywhere, and tour the Mario Fortuny Museum, named for the designer of unforgettable costumes and evening wear. We can also take you by private boat to the island of Murano, where you will discover one of the world’s oldest and finest glass museums, and the legendary workshops where you see the glass-blowing techniques handed down for generations. When you contract with Italian Links Tours, we arrange for you to go behind the scenes to visit glass-making studios, jewelers, and designer showrooms, as well fulfill your special orders and shipping needs. Secret & Exclusive Venice: When your feet give out—and they will—we can arrange for you to enjoy aprivate two-hour motor boat tour through the quieter hidden canals of Venice, in parts of the city that are truly off-the-beaten track. Seeking a little green space? 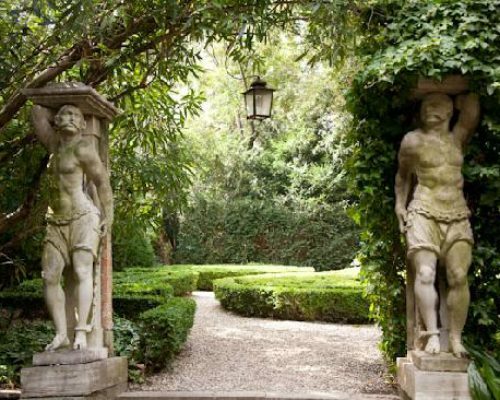 Come join us on one of our private Venetian garden tours with our local expert, Tudy Sammartini, who will show you gardens you never knew existed. And if the kids are getting a bit restless, we have just the ticket: a Venice Treasure Hunt filled with clues and objects that you’d never expect to find; or a night-time Ghost Tour with the city’s leading expert & author on the legends and ghosts, mermaids and devils that make this the most unforgettable of cities.